In Manifesto for an Independent Revolutionary Art André Breton and Diego Rivera, under the effects of German fascism and Russian Stalinism in society, argued that art can only impact society and be revolutionary if it becomes independent of any social constructs. Almost six decades later, in the rise of what became known as "relational aesthetics", the field of multidisciplinarity is expanding and many artistic projects for social change claim to be multidisciplinarity. However, such projects show that we are still far from a broad discourse of multidisciplinarity. 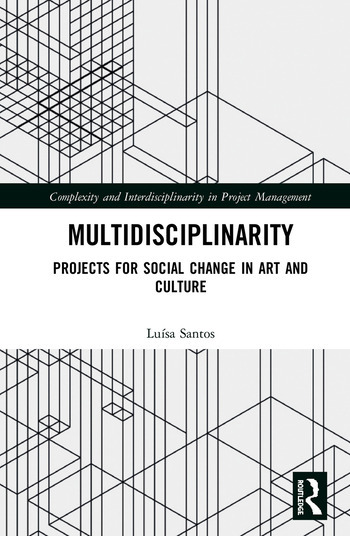 Multidisciplinarity takes a step towards a down-to-earth discussion of the relation between disciplinary discourses and grand narratives in three different projects, focusing mainly on its artistic, cultural and management aspects. Indeed, drawing from the eclectic construction of these three multidisciplinary projects, this volume serves to bridge the gap between the theoretical debates of disciplinary discourses and the harshness of everyday life in communities where projects for social change are being implemented. Presenting a panoptical view that places academic research side by side with daily life, Multidisciplinarity unveils the bigger picture of both projects and interdisciplinary discourses. This insightful volume will appeal to students and researchers interested in fields such as Project Management, Multidisciplinarity, Culture Studies and Organisational Studies. Luísa Santos is Assistant Professor at the Faculty of Human Sciences of Universidade Católica, Lisbon, Portugal.